February. It’s the most wonderful time of the year, if you discount those pesky other months and boil the whole year down to just the first two. Hey, at least it’s short. February does have one thing going for it, however. Women in Horror month, an annual celebration of, well, women in horror. From Mary Shelley to Anne Rice, female horror writers have been around for generations. This month is all about celebrating female horror writers and strong female leads in horror stories. Now in its ninth year, this is a multinational event which sees women from across the different horror related arts — filmmakers, writers, actresses, producers, bloggers, and everything else besides (last year there were even events held in SecondLife) get together for events both online and in the real world to discuss all things horror. This is, needless to say, pretty chuffing awesome. One such event is being held online by the excellent S.K. Gregory, author of Daemon Persuasion, over at her blog. She’s interviewing a different female author (or male author with female leads in their horror works) every day in February. Already this month there’s been interviews with the likes of Fiona Hogan, Suzi Albracht, Rita Kruger, and S.K. Gregory herself, and there are interviews with Pamela K Kinney, Alathia Morgan, and Yolanda Olson and loads more coming up over the month. There are already some fascinating discussions about representation, the female perspective, and the future of the genre going on. Oh yeah, and I’ll be dirtying up the place on Monday, talking about Blood on the Motorway (as if I ever talk about anything else). So, if you’re looking for a new horror read, and you want to support up-and-coming women in the horror genre, head over to the blog, bookmark it, and check back every day. Or if you’re interested in what else is going on for Women in Horror Month, head to the main site to see if there are any events near you. Or check out the hashtag #WIHM9 over on the twitter dot com for a refreshing break from all the Nazis . Michael Hodges is one of horror writing’s most exciting up and coming writers. His latest book, Black Friday, charted straight at the top of the horror charts, and he's building a track record in Hollywood, with his novel The Puller optioned for Hollywood adaptation, and other potential deals in the works. He also seems like a pretty decent fella, and has decent taste in music to boot. So, I thought I’d take the opportunity to talk to him about horror, music, and photography. PS: What was the first thing that got you interested in horror? MH: It had to be the woods at night. I spent a lot of time in the Northwoods of Michigan and Wisconsin. My grandmother, when driving back to the cabin at night, would sing spooky songs to goof on us kids. I wondered what was out there, beyond the penumbra. PS: Do you consider yourself primarily a horror author? MH: Good question. If I had to take a step back and examine my genre, I’m more of a hybrid. My stuff doesn’t fit neatly into boxes. For example, my novels will always be filled with research and science, which makes them lean towards the Michael Crichton side of things. But at the same time, my novels are typically darker and more violent than his. If anything, I’d classify myself as a writer of science fiction/horror. PS: We connected on Twitter through a shared love of the band Crippled Black Phoenix, who we’ve both used as an inspiration to our writing. 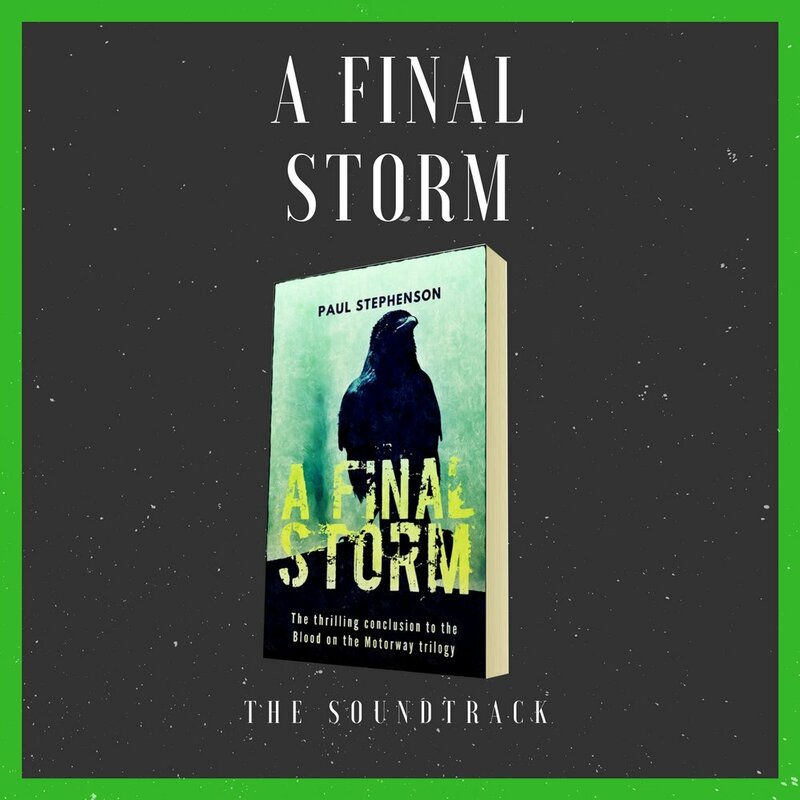 Do you always write while listening to music, and what other bands or artists provide the score for your books? MH: Ha, that’s funny, because I’m listening to Crippled Black Phoenix as I type this. I always write with music. Certain songs are attached to characters and scenes. I’m writing a novel called “The Last Colossus”, and the song “You Take the Devil Out of Me” by CPB is integral to the creative process. As far as other bands, I have a top five “all time”: Pink Floyd, Grandaddy, M83, The Flaming Lips, and Radiohead. PS: Who is your favourite horror writer, and why? MH: Cormac McCarthy. The Road is perhaps the bleakest thing ever crafted, even bleaker than Pet Sematary. Cormac not only writes great characters, but he also does “landscape as character” better than any writer I’ve ever read. I’ve incorporated these elements into my own work, like The Puller, where the Upper Peninsula of Michigan is essentially another character. I read too many new novels where it’s just a guy walking around the same old boring landscape, and I’ll stop reading. There’s more to life than just a person’s basic actions from path to path. There’s a wider swath of self-awareness of entire ecosystems that should be explored on the page. PS: What first prompted you to write? MH: It just chose me. PS: Your most recent novel, Black Friday, has rocketed to the top of the horror charts on release, so congratulations for that. What can you tell us about it? MH: A kleptomaniac, unemployed IT guy, a shopaholic, and a meth dealer are trapped inside a Chicago supermall on Black Friday by alien forces. It’s a return to the more psychological style of The Puller, in a suburban landscape. My first three novels all focus on “trapped” themes, and how these characters organically extract themselves form their predicament. PS: What’s your favourite horror film of all time? MH: Probably The Thing. I love everything about it, especially the cool analog synths . I’m kind of a synth-head. PS: You are also a prolific photographer, specifically of the nature in your part of the United States. What made you get into that? MH: I’ve always been into nature, so photographing the world around us was a way for me to express myself, and to raise my self-awareness. I want to know more about the living things around me, more than work to strip mall to bed to work. What makes the world tick? What is this cool little creature that lives near me? How did these things come to be, and what is their significance in the big picture on this floating ball of rock we call home? In a developing, overpopulated world, I see wildlife as under siege, and this theme is reflected in the core of my work. PS: Do you consider your photography to be an escape from your writing, or vice versa? MH: I see them as complimentary. I enjoy spending a week camping in Glacier National Park, and incorporating that experience organically into my work, to create richer, more rewarding environments on the page. Also, tracking grizzly bears is helpful when you’re writing a novel about grizzly bears. PS: Black Friday is your third novel, and you also have a collection of short horror and sci-fi stories available. What can you tell us about those? Hydra: A top scientist discovers a way to extend the human life span by decades, but grapples with the reality humans will be the only species left on the planet if implemented. Uncommon Ally: After meteors wipe out most of mankind, the meteors that crashed into the ocean infect the seas with invasive species. A young rebel snipes the invasive's from shore, and finds an uncommon ally in the great white shark. PS: Lastly, where can my readers find you? It’s nice to see she has her priorities straight. As a horror writer, I love Halloween. Sure, it’s dumb and commercial and I’d rather listen to Donald Trump than carve a pumpkin, but as someone who lives for the imagery of the thousand horror films and novels I was raised on, there’s something hugely appealing about being surrounded by so much gothic splendour, even just for one night. So, to celebrate this most horrific time of the year, I thought I’d give all of you a treat. 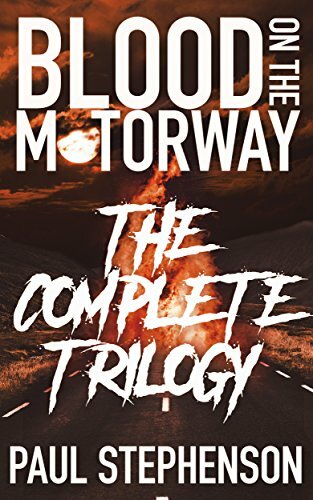 For the two weeks running up to Halloween, I’m selling Blood on the Motorway, my apocalyptic horror novel, for only 99p, if you buy from Amazon or iBooks. If you’re in the states, you’ll find it’s only 99c. How’s that for a Halloween treat? In fact, no matter where you are, you should get it at a nice little discount. “A totally compelling story. Lots of twists, turns and cliffhangers. With a mixture of likeable characters and some you really wouldn’t want to meet in a dark alley. A recommended read.” - Amazon UK Review. If you’ve already picked up the book, why not recommend it to your friends, family, or just some random strangers in the street?